A dawn sun illuminates awesome Table Mountain three miles northwest of Royal Cape…Southern Right whales breach in the Indian Ocean below Pinnacle Point…giraffes stand tall on the greens at Hans Merensky… and crocodiles soak up the sun in a deep pit at Lost City. Images of golf in South Africa are pretty incredible. And when you mix in a few Boerewors rolls, some delicious biltong and a glass of Windhoek lager at the halfway house, the whole package gets even better. Though the Rainbow Nation— Archbishop Desmond Tutu’s name for the country that emerged following the democratic election of Nelson Mandela in 1994—has more than 500 18-hole courses and a proud golf history (the South African Open dates back to 1903), it can’t boast quite the same architectural pedigree as that of Britain, Ireland, the US, Australia or even New Zealand because Alister Mackenzie never visited to create a number of great courses like he did in America and the Antipodes. HS Colt’s design partner Charles Alison did work here, however, and retired to South Africa in late 1947. And Colonel S.V. Hotchkin, who designed two of England’s best at Woodhall Spa and West Sussex, also had a hand in many of the country’s most acclaimed layouts. One of them, Durban Country Club, opened in 1922 and has long been ranked among the world’s top 100 courses. Before Hotchkin’s arrival in 1929, the course had been built by local golfer George Waterman and four-time South African Open winner Laurie Waters, a native Scot who had apprenticed under Tom Morris before emigrating. The course sits on crumpled sand dunes a couple of hundred yards inland, though the bush between the opening holes and the beach is so dense that few spots afford an ocean view. eThekwini (Zulu for Durban) is unlikely to be your entry point into the country, however, so Durban CC will have to wait. Connect in Atlanta with Delta (or JFK with South African Airways) and you’ll land in Johannesburg after nearly 19 hours in the air. Though experiencing a welcome renaissance, the City of Gold still bears the somewhat hostile, uninviting reputation it developed in the second half of the 20th century, and it lacks the visitor-friendly—let alone golfer friendly— experiences to be found elsewhere in this amazing country. You might stick around to play Alison’s Glendower Golf Club, or Robert Grimsdell’s East Course at Royal Johannesburg and Kensington Golf Club, which opened in 1935. But while quite lovely, both too closely resemble American suburban parkland courses for them to be the intoxicating thrill ride you traveled so far to experience. For that you need to leave Joburg and fly to the coast for golf that is altogether more stimulating. My recommendation would be Cape Town, the Mother City, founded in 1482 on the country’s southwestern tip and its legislative capital (Pretoria [administrative] and Bloemfontein [Judicial] are South Africa’s other capital cities). Dominated by the utterly mesmerizing Table Mountain, Kapstaad (Afrikaans for Cape Town) has been suffering from a serious water shortage in recent years, and restrictions on usage imposed by the National Department of Water and Sanitation in February are still in place. This is definitely not a deal-breaker, just a heads-up. The city is a beguiling mix of black African, Malay, Dutch, and British cultures, and last year was voted the world’s greatest city by readers of London’s Telegraph newspaper. 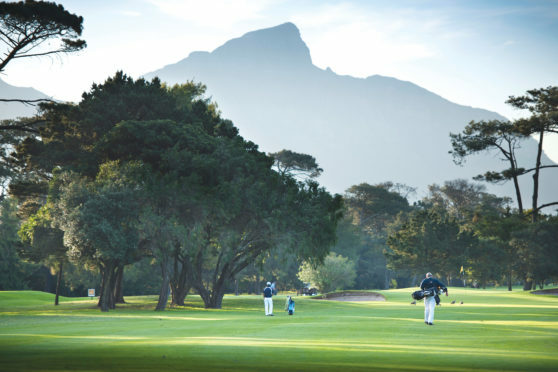 You’ll want to do plenty here besides play golf, but days you do set aside for a few holes should be spent at the charming Royal Cape Golf Club—currently in its third home since November 1885—and Milnerton Golf Club on the coast ten minutes north of the city with stunning views of the mountain. From Cape Town it’s a four-hour drive east on the N2 Highway to Mossel Bay, start of the famed Garden Route. This glorious stretch of coastline extends roughly 200 miles east to Storms River, possessing several potential stopping points for golfers and any number of attractions for non-golfers. With beautiful, upscale living areas and good access to a major city come big-money golf developments (called golf estates here) and the Garden Route developed its fair share in the 1990s and early 2000s with designs from Jack Nicklaus, Ernie Els, Gary Player, and Darren Clarke/Peter Matkovich—the team that designed the remarkable Pinnacle Point on the cliffs just south of Mossel Bay. Americans David Dale and Ronald Fream of GolfPlan USA designed Pezula, a similarly exhilarating layout and just the sort of course to fill your SD card. The magnificent Fancourt resort boasts three Player designs including the Links, which hosted the 2003 Presidents Cup that ended in a tie. Three miles east is a long-established course that Goosen thoroughly recommends. Built by Charles Murray (Royal Cape, Clovelly) in the 1930s, George Golf Club is sometimes referred to by Fancourt visitors as the “Old Course.” “George is arguably South Africa’s finest parkland course,” says Goosen who grew up in the beautiful coastal town of Knysna, 20 miles away. Moving further east, you come across a fine Nicklaus design at St. Francis Links that opened in 2006, and two of South Africa’s oldest and most-respected courses— Humewood and East London, both dunesy classics laid out by Hotchkin. The Colonel’s magical design at Humewood Golf Club, outside South Africa’s Windy City, Port Elizabeth, opened in 1931 and has all the hallmarks of a genuine links. 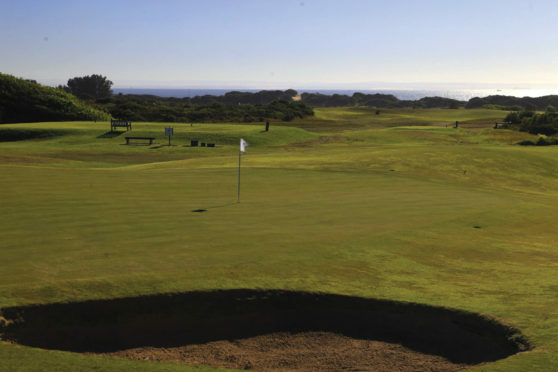 Here, you have to master almost constant sea breezes as well as the thick, coarse, aggressive kikuyu grass found on most South African courses. Humewood has hosted five South African Opens—winners include Bobby Locke (1940), Harold Henning (1957), and Ernie Els (2006). East London Golf Club’s current home at Bunkers Hill opened in 1923 and is the club’s third location. In 1986, it was the scene of 16-year-old Ernie Els’ victory in the South African Amateur. 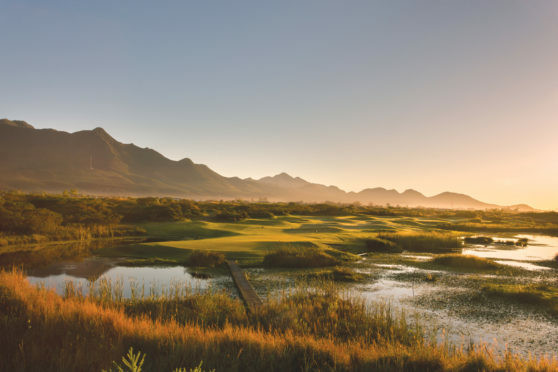 From here, it’s on to Durban and then perhaps the incredible, Gary Player-designed Leopard Creek, eight hours to the north and on the other side of the Krokodilrivier from the extraordinary Kruger National Park where the wild things roam free over 7,523 sq mi. 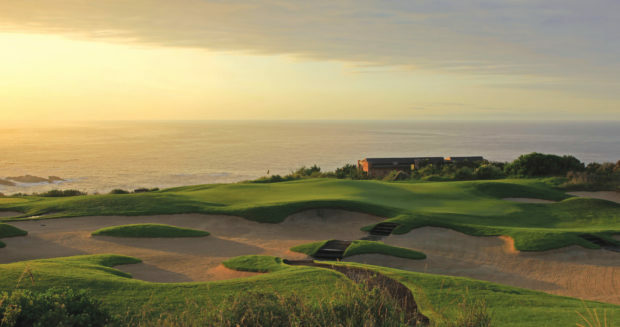 Regardless of how many rounds you play at Durban Country Club, or how many times you take the cable car to the top of Table Mountain, watching Africa’s Big Five—elephant, rhinoceros, water buffalo, lion, and leopard—will most likely be the highlight of an amazing trip. You’ll need money, stamina, and time—probably a month or more—to play all of South Africa’s best golf courses and see its biggest animals at a reasonable pace. With two weeks though, you can still have the trip of a lifetime. A few days in and around Cape Town, followed by a drive down the Garden Route/Wild Coast, a swift visit to Durban, and a final fling around Kruger will yield enough memories to fill dinner conversation for several years. Anxious About Going to South Africa? Last year, more than 345,000 people from the US visited South Africa, and when surveyed by the South African Department of Tourism what their worst experience had been, 76% said they had no bad experience while only 6% said they had felt concerned for their safety. Still the US State Department currently has South Africa pegged at Level 2 on its Travel Advisory Warnings—Exercise Increased Caution. So use common sense and adhere to universally-recognized guidelines: remain in popular, well-lit areas; don’t carry expensive items on your person; take out appropriate travel insurance, etc. You will enjoy a trip it would be a terrible shame to pass up. Tony Dear is a Bellingham, Washington-based Colorado AvidGolfer contributor.